LAFAYETTE, Ind. — Clarian Arnett Hospital and Clarian Arnett Cancer Care will turn their campuses pink this October in honor of Breast Cancer Awareness Month. On October 1st, pink solar lights will replace the traditional light bulbs on the grounds of Clarian Arnett Hospital, at 5165 McCarty Lane, and Clarian Arnett Cancer Care, at 420 N. 6th St. The lights will remain pink through October 31st. Clarian Arnett Health’s “turn pink” efforts extend far beyond the solar lights that will be placed around the campus. Clarian Arnett Hospital’s Banyan Café will participate in Yoplait’s Save Lids to Save Lives® campaign by collecting pink Yoplait® lids. They will also serve a variety of pink desserts. 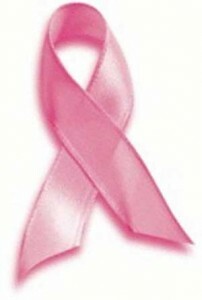 In addition, all associates in the outpatient clinics will wear pink medical gloves.